Car, van & 4×4 tyres in Weymouth – supplied and fitted. Keeping your tyres in good condition is not only essential to road safety, but can also have a dramatic effect on your fuel economy. We offer many makes of tyres in every size to suit your car or van. We offer budget tyres to mid range and premium brands for any vehicle. Good tyres are crucial for safe and economical driving. But when they wear out, replacing them all at once can be expensive. It is advised that tyres at least be changed in pairs and that the tyres in better condition be fitted to the rear of the car for stability in extreme conditions. By law, car tyres must have a tread depth of at least 1.6mm across three quarters of the centre tread width, around the full circumference. A tyre’s ability to grip, will deteriorate well before this, especially in wet conditions, so start looking around when the depth reaches 2-3mm. A new tyre has a tread depth of about 8mm. According to statistics from DVSA, defective tyres and wheels account for a fifth of MOT failures. We offer tyre safety checks completely free and there is no need to book. We only ever recommend you change them when we believe it’s necessary. So, if you’ve still got some safe motoring miles on them, we’ll tell you exactly that. 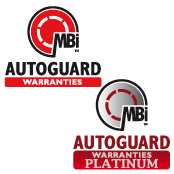 What ever make and model of your vehicle, our expert advice is at hand to offer a helping hand. 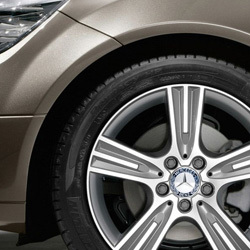 It’s free and impartial to assist you in selecting the best tyres for your vehicle. Does your vehicle have a Tyre Pressure Monitoring System (TPMS)? These systems are commonly fitted to newer vehicles and indicate a fault with your tyres when the pressure decreases, a fault in the system will cause the warning lamp to illuminate until your tyre/s are repaired or replaced. This would also re a reason for rejection on and MOT test. At South Coast Auto Solutions we have the equipment and trained staff in our team to deal with all your Vehicles tyre needs. We deal direct with Wholesalers to enable us to pass the highest possible discount to our customers ! If we do not stock your particular tyre we can usually obtain it the same day or order it in. No hidden extras. Our tyre prices include fitting, valves and balancing as well as the disposal of your old tyres. We’re now stocking a low to mid range tyre that is comparable to many named brands at a fraction of the cost. *Prices correct at time of publish, please check when enquiring. Friendly reliable service. Always able to help no matter how small or big of a job.